People long to make a difference in their community. Others need the skills God gives each of us to share. At Grace United Methodist Church, one of our Core Values is Missions. Here are three key areas where we are meeting the real needs of others; but there are many more. Click the "Take Action" button above to find where you can serve too! 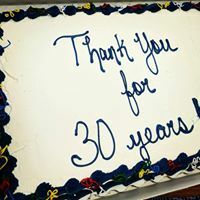 Celebrating its 30th anniversary in 2017, Grace's free Legal Aid Clinic has met the legal needs of thousands of of Grayson County residents. Help is offered in areas such as estate planning, employment, landlord/tenant, and many others. Volunteer attorneys offer their services on a first come, first served basis on the first Thursday of the month, at 6:00 p.m.
Grace UMC has adopted the children and families of Wakefield Elementary as a mission focus. Adult volunteers from Grace serve as readers and mentors to students. We also support the school by bringing treats for teachers and staff, raising funds for needed projects, and donating clothing and school supplies. The first step to help out is to sign up on the Sherman ISD website. Click here. Disaster relief kits, hygiene kits are assembled and delivered to areas in need. Grace UMC is a host congregation, providing lodging, three meals a day, and caring hospitality 3-4 times a year.